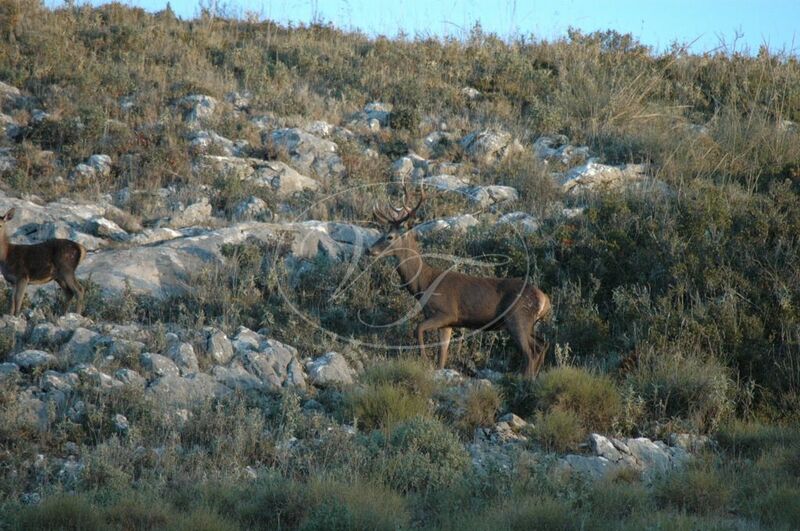 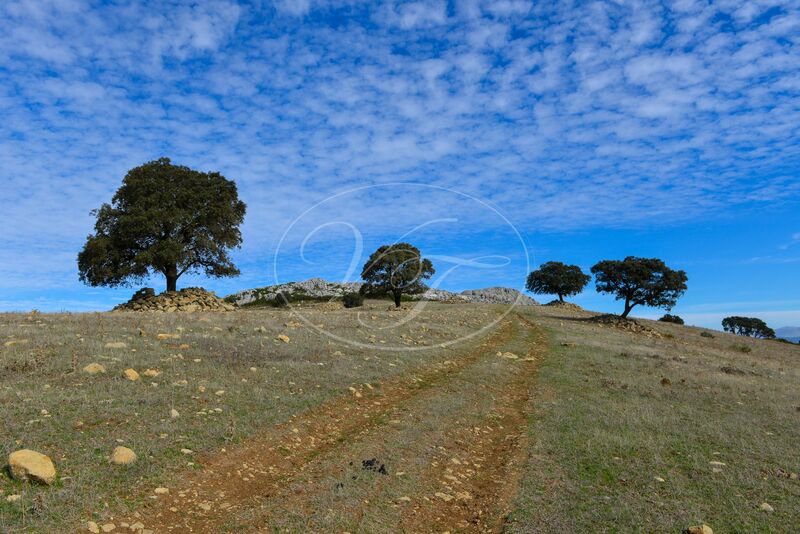 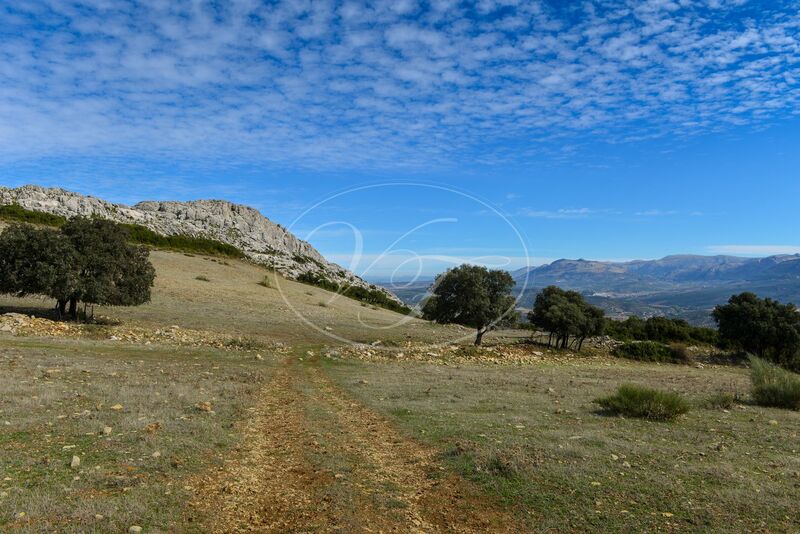 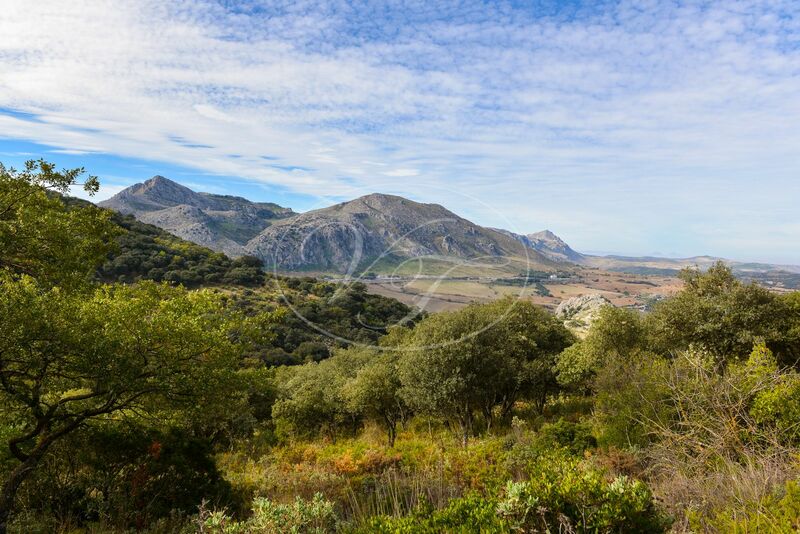 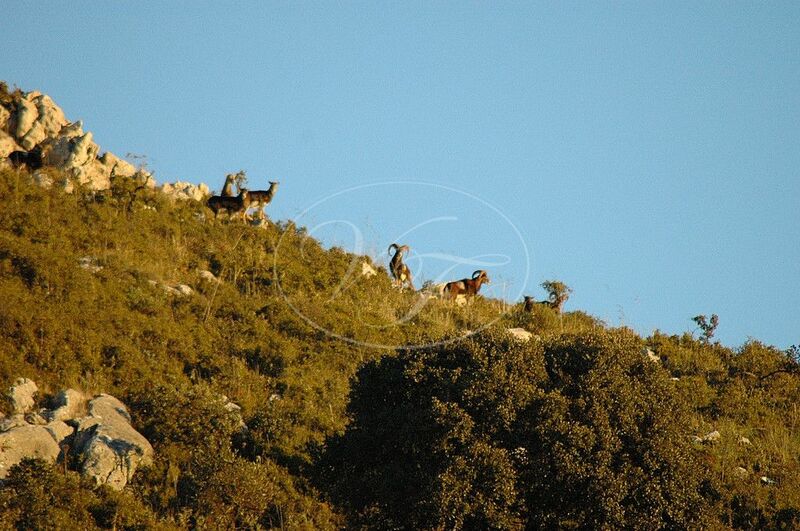 Big game shooting or hunting estate near Antequera, Andalusia. 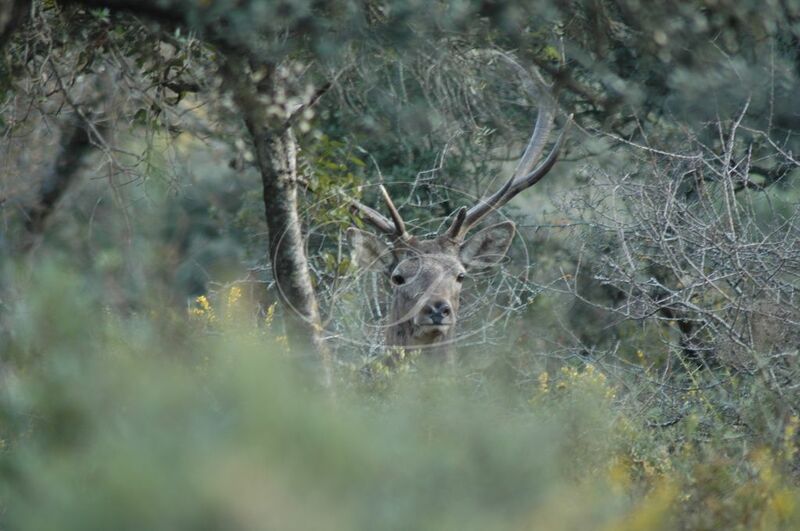 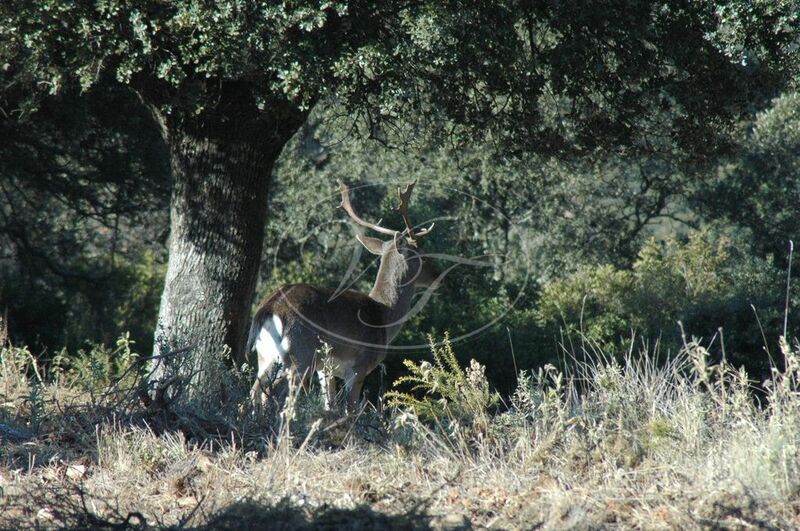 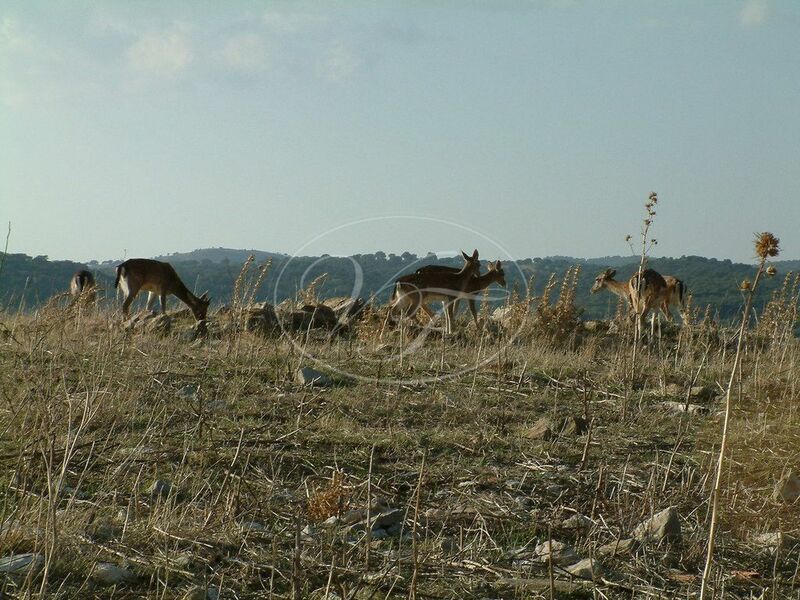 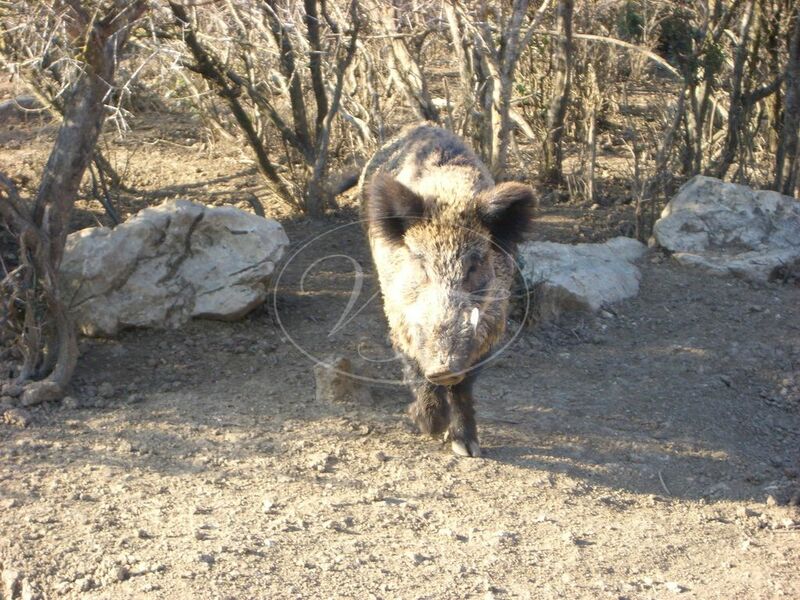 The finca has 300 hectares and is inhabited by deer, mouflon and wild boar. 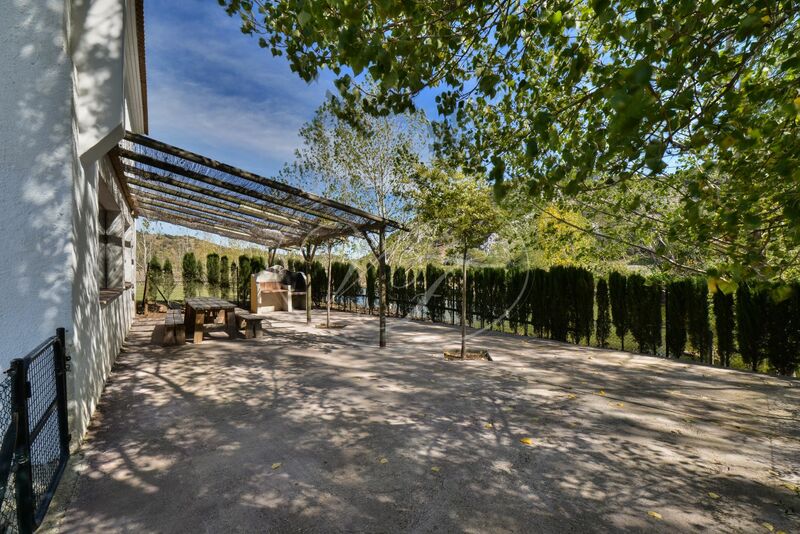 The estate is completely fenced. 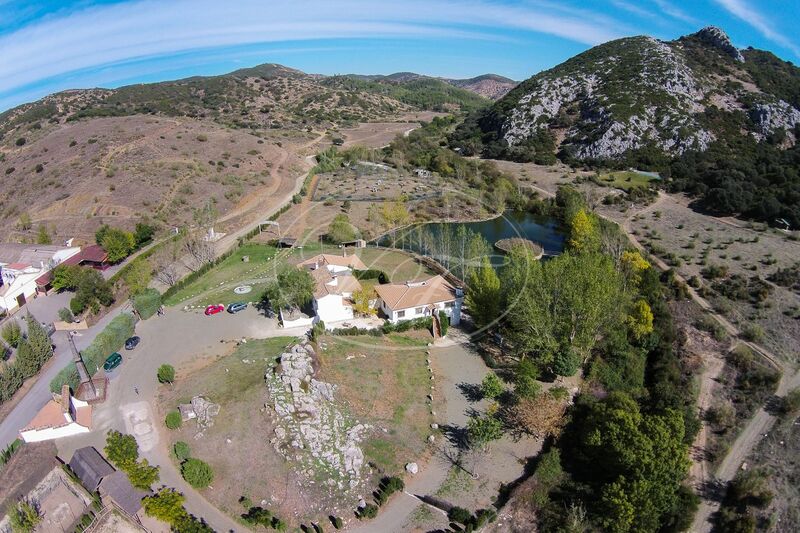 The country property is currently in use as an outdoor lodge, offering a variety of activities. 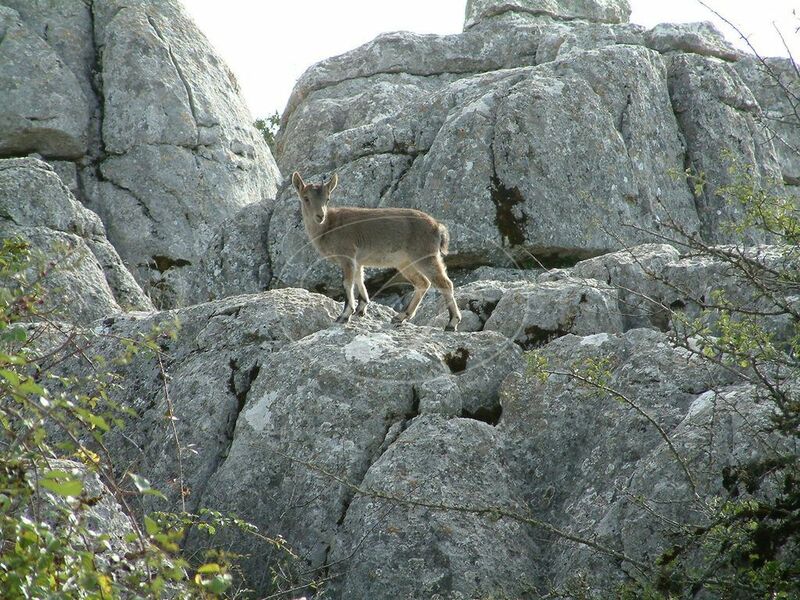 In addition to hunting, you can practise horse riding, rock climbing, paintball, hiking and tracking to name some of them. 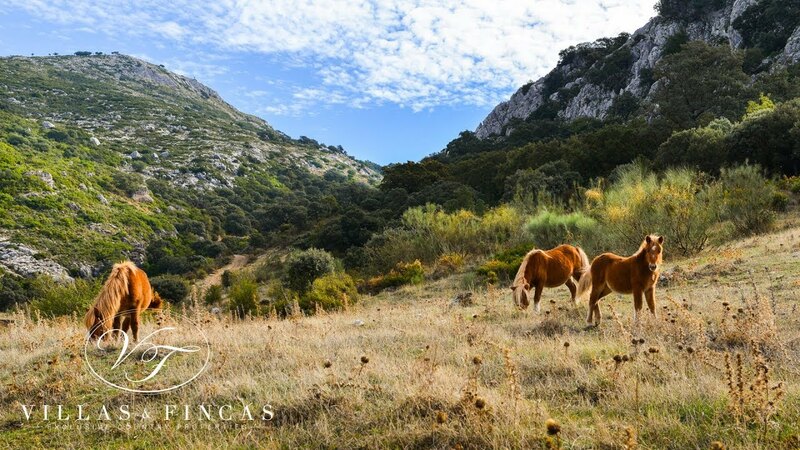 The stunning natural setting provides the ideal scenery to spend some time away from the hustle and bustle of everyday’s life. 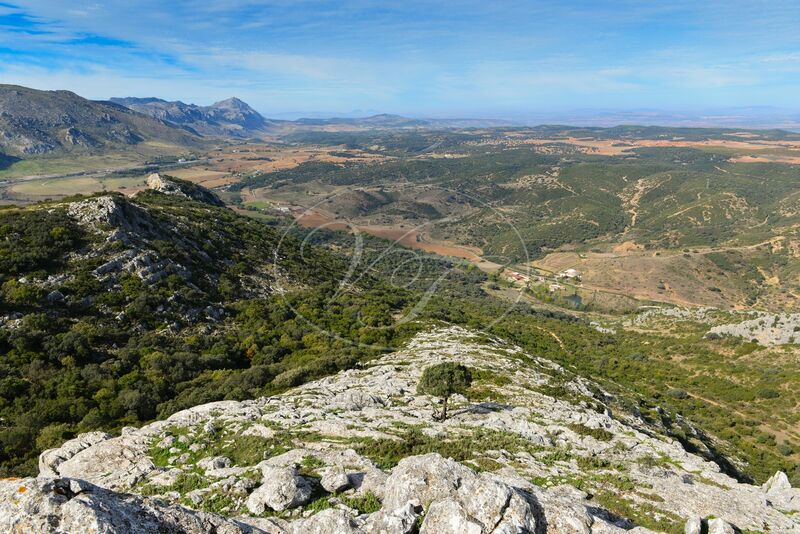 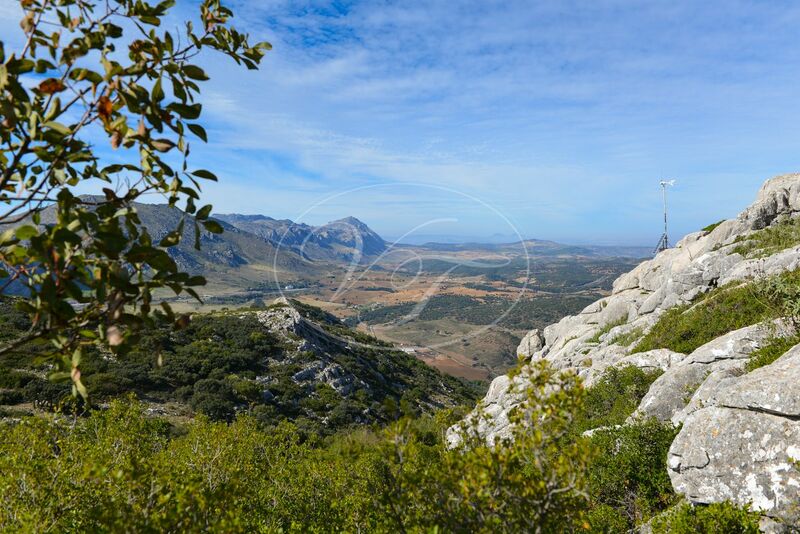 The peak of the mountain offers spectacular views over the mountains towards Antequera and even on a bright day, we could see the deer and moufflon passing below us. 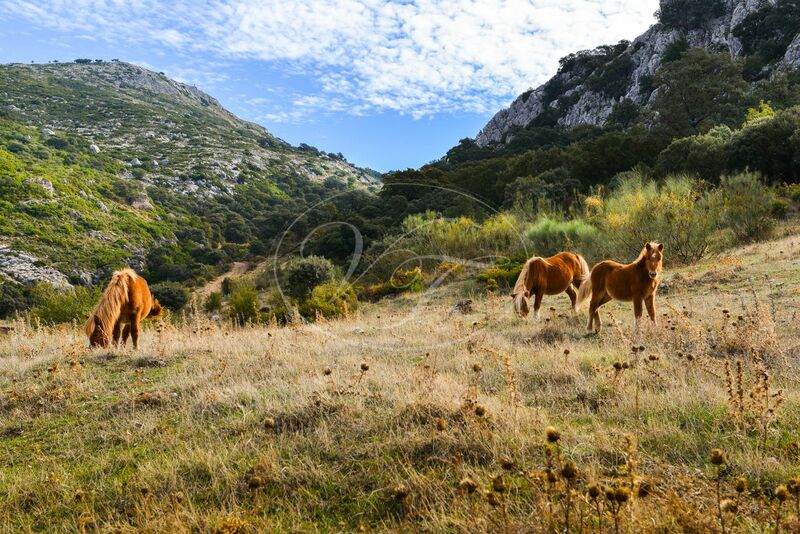 The mountain with its wildlife fenced off, the horses are also left running free. 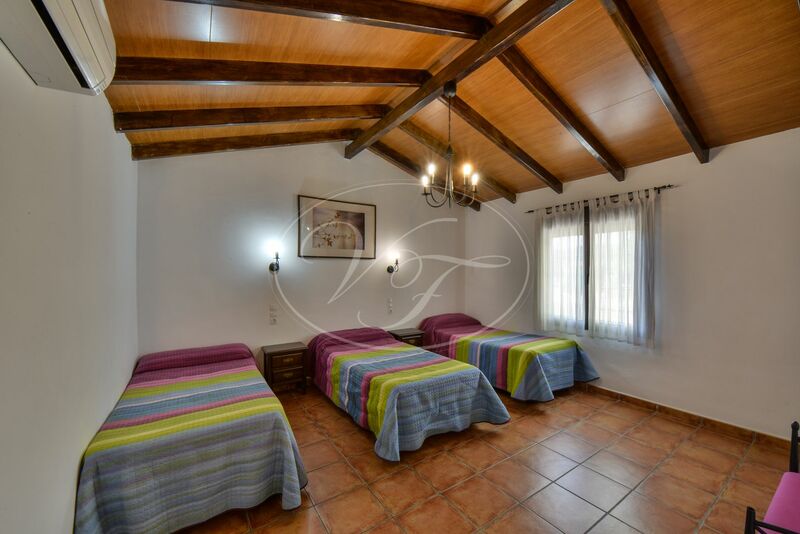 The accommodation consists of a reception area, two cortijos, a lodge, four log cabins and a large barn with stables and storage. 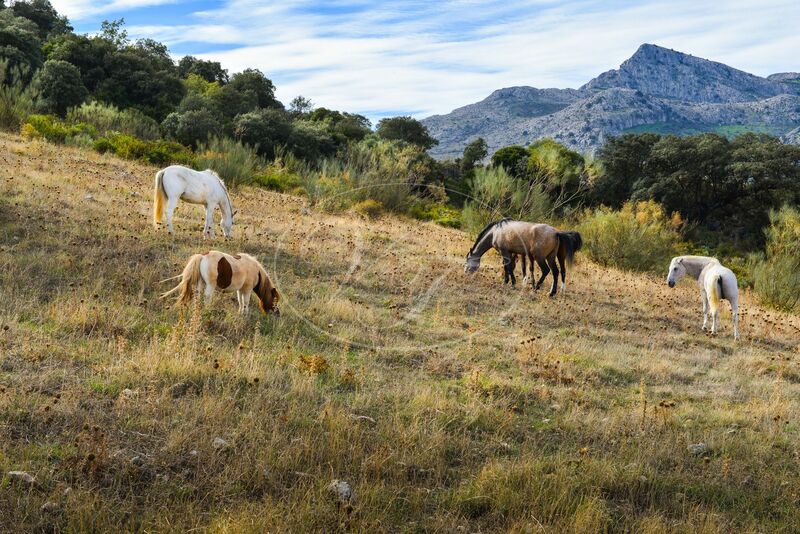 In total there is accommodation for 33 people. 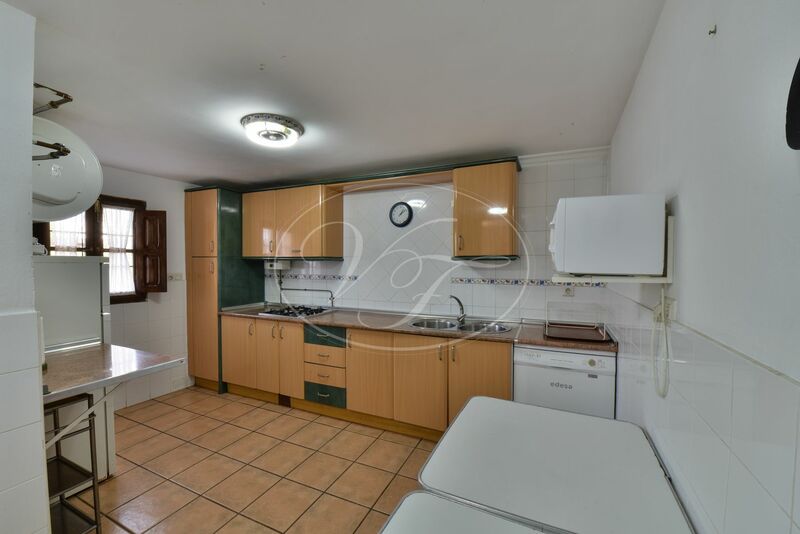 The buildings and installations are finished to an exceptionally good standard and are very well maintained. 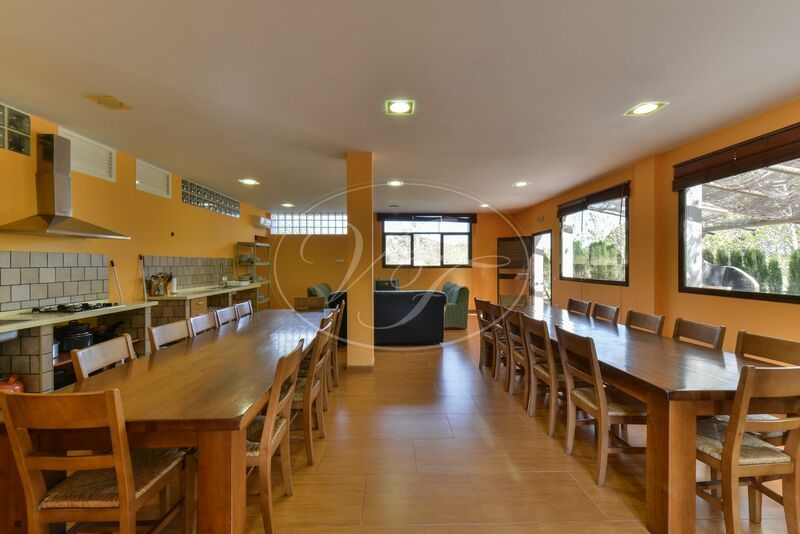 The reception area is a meeting point for groups and holds all the equipment for climbing and paintball. 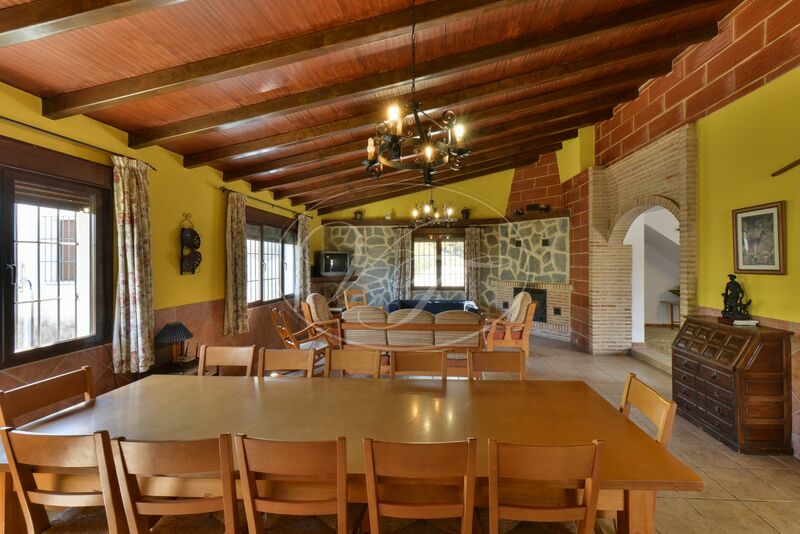 It has a lovely wooden covered terrace and a lounge. 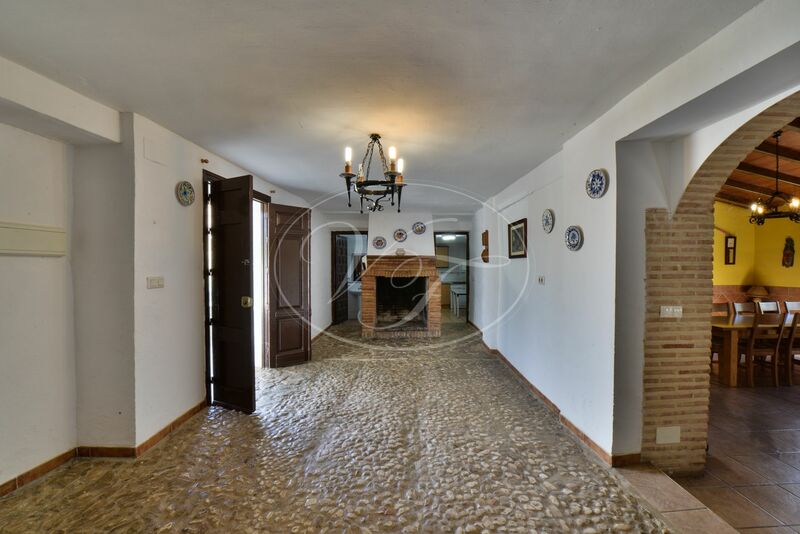 The first Cortijo has its own pebbled courtyard, a beautiful rustic entrance hall with a large chimney, a living room and equipped kitchen plus one bedroom and batroom on the ground floor. 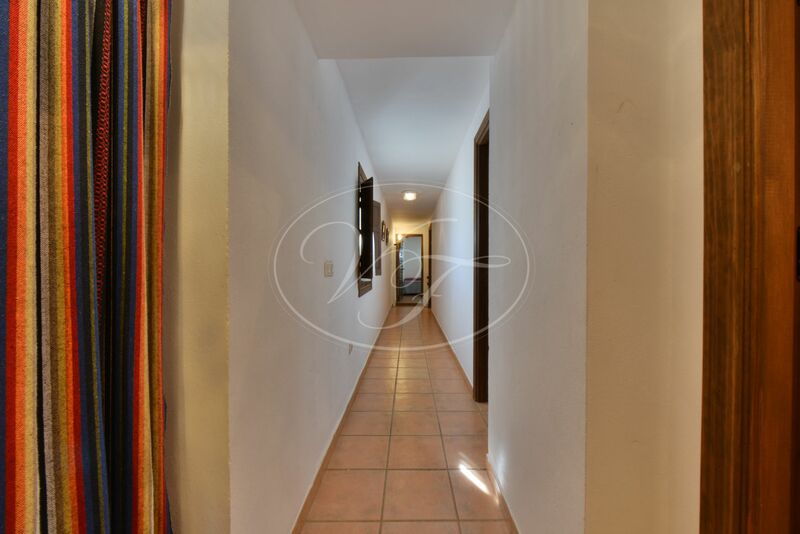 On the first floor, there are 3 more spacious bedrooms and another bathroom. 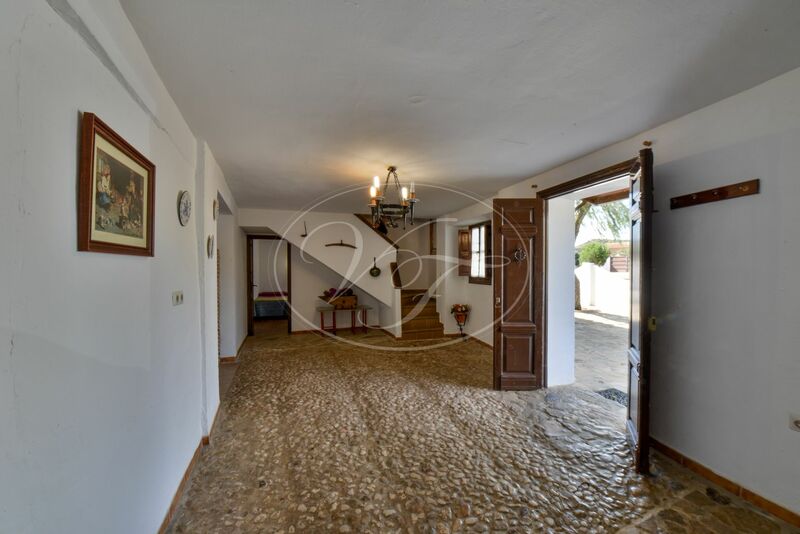 The second cortijo has a spacious living room, a kitchen and 5 bedrooms, 2 bathrooms. 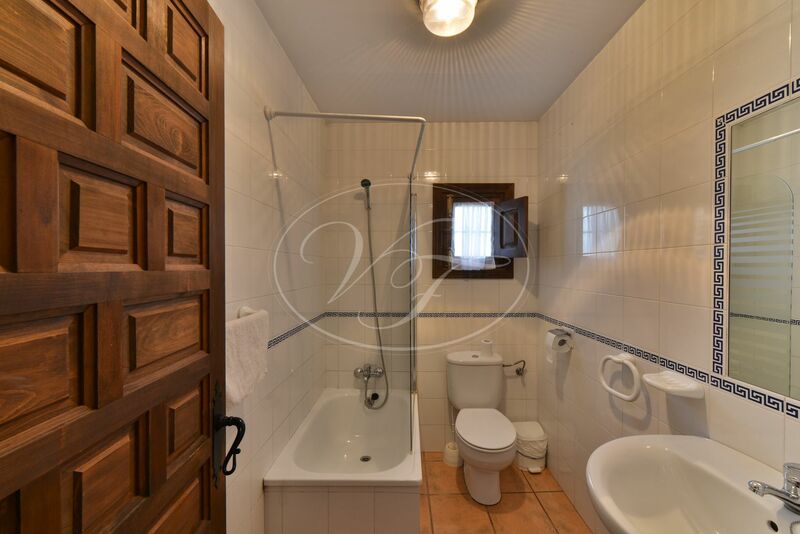 One bedroom is accesible for people with reduced mobility. 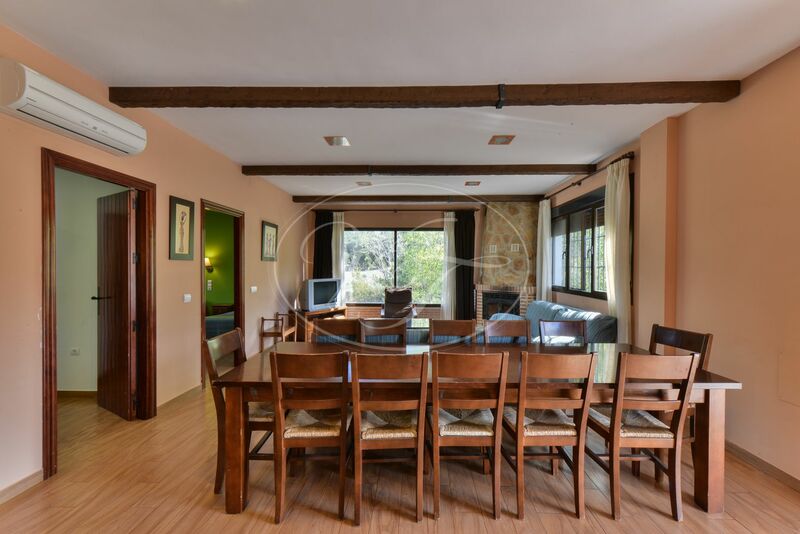 The lodge has 2 dorm rooms with 10 beds, 2 separate shower and toilet areas and a large open kitchen with lounge. 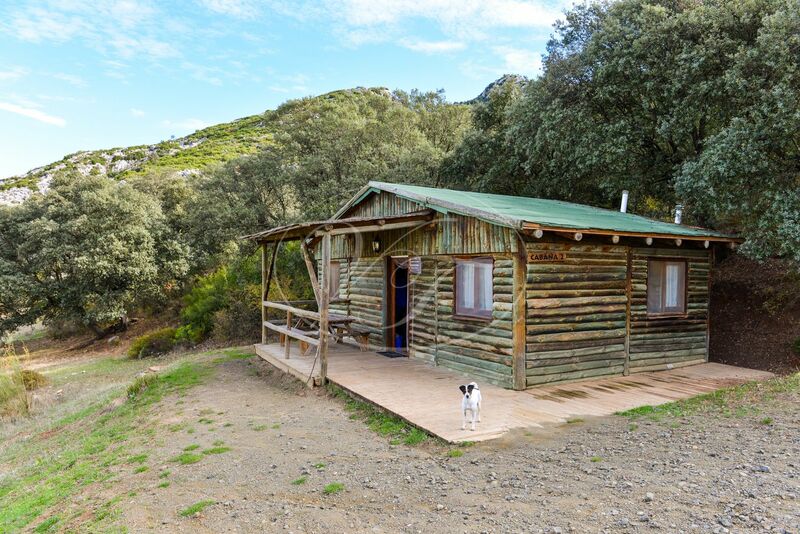 The 4 wooden cabins are located up in the mountain and offer complete privacy. 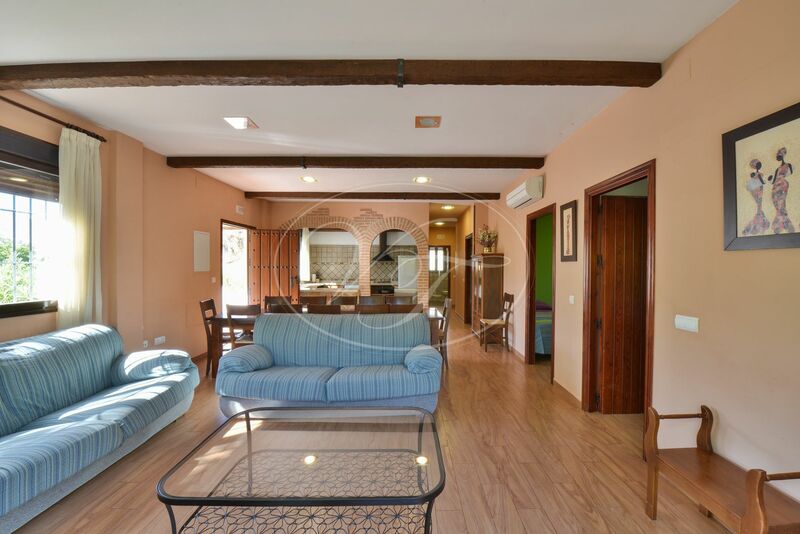 Each cabin has 2 bedrooms, a bathroom, a lounge kitchen and a terrace. 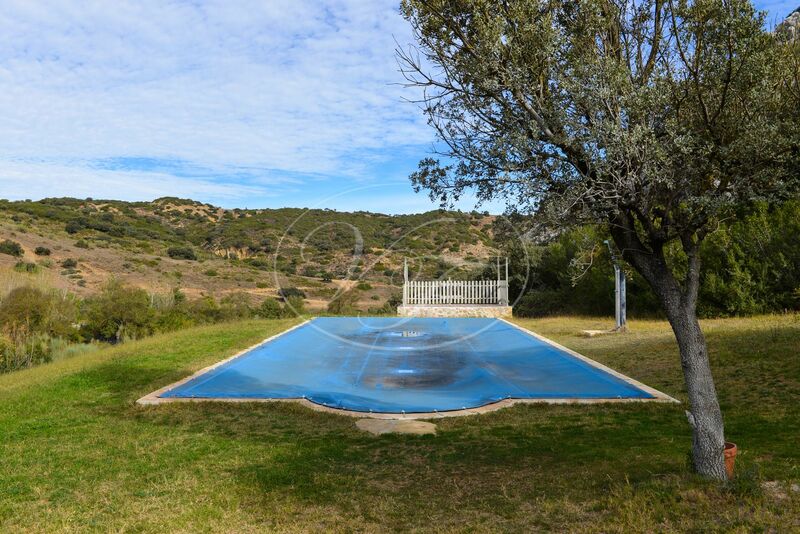 The property has a large 7m x 16m pool, available for all guests with abundant space for sun lounges. 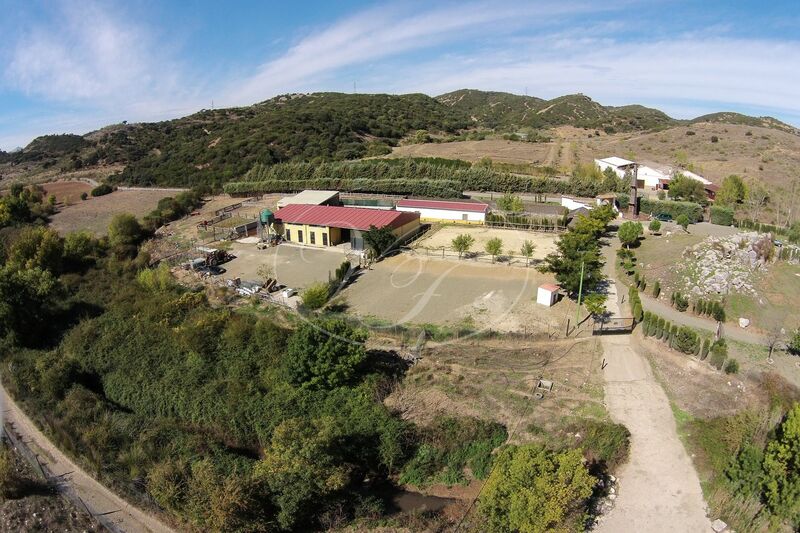 The 425 m2 barn has six boxes for horses, a tack room, an equiped workshop, general storage, a cold storage and a fully equipped butcher’s room. 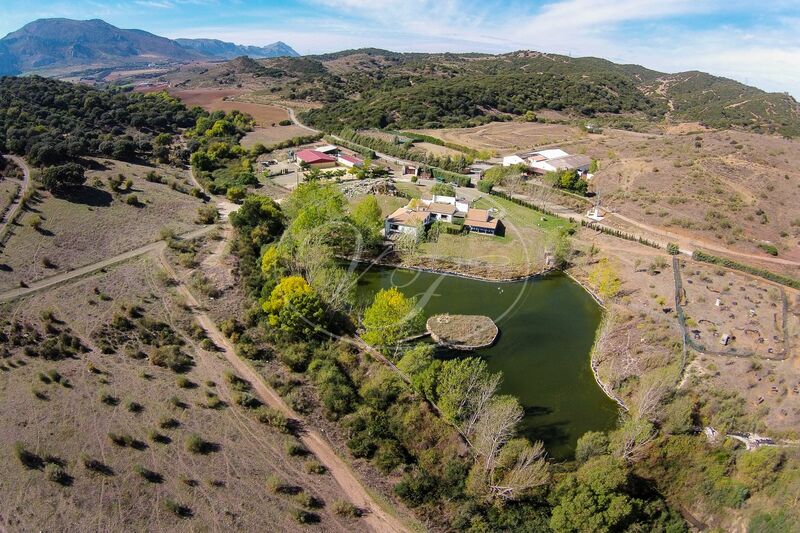 The property furthermore counts with a grain silo, two artificial lakes, kennels for the dogs, a large vegetable garden and a mini farm with chickens and pigs which can be visited by children. 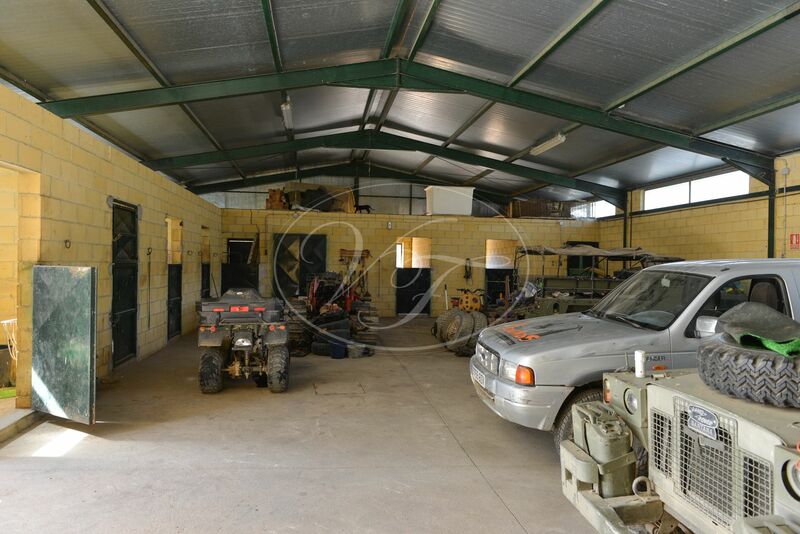 Five different areas for paintball activity, adequately fenced. 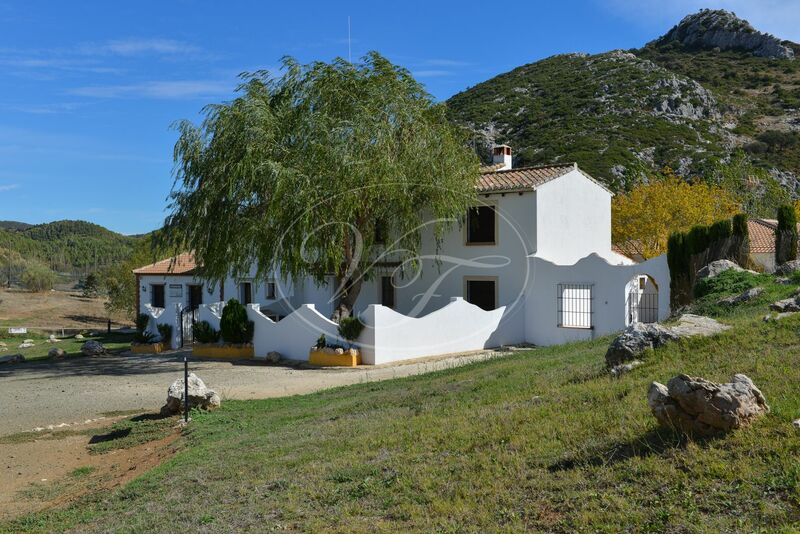 The property is conveniently located at just a 30 minute drive from the city of Málaga and it’s airport. 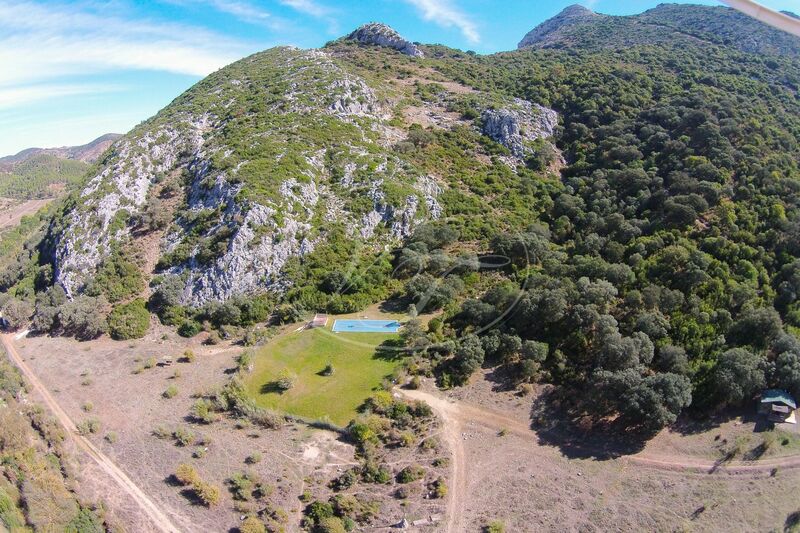 It has good access from the main road and is located completely private. 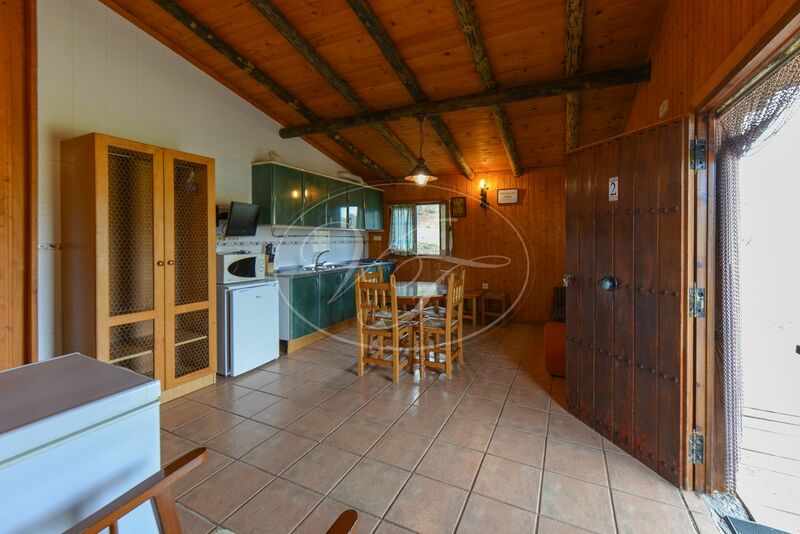 An ideal property for a weekend hide away in the stunning mountains. 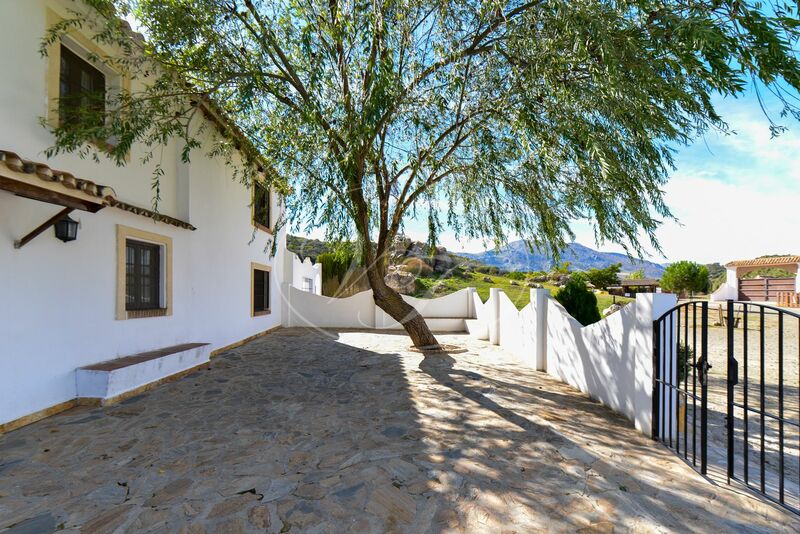 Please, send more information about ref 186-00554P, Cortijo in Antequera or similar properties.